Sorry about being 2 days late on my calendar, I went camping this weekend and totally forgot that August started this weekend too! 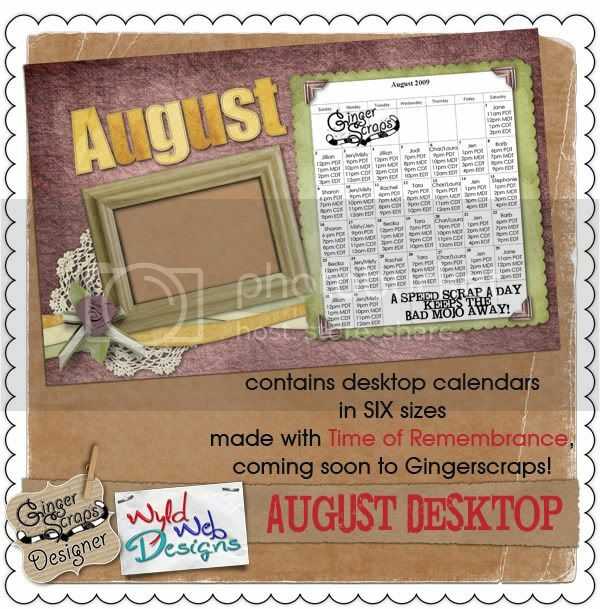 Here is your calendar for August and it contains all the speed scrap times for the whole month at Gingerscraps! I used my newest kit, “Time of Remembrance” to create this desktop, it will be available on Wednesday, August 5th at Gingerscraps! Click HERE or on the image to download! See you at the speed scraps!